2018 Fall Home Tours - 30 homes over 5 days. If you missed any you can catch up with all 30 of them here. 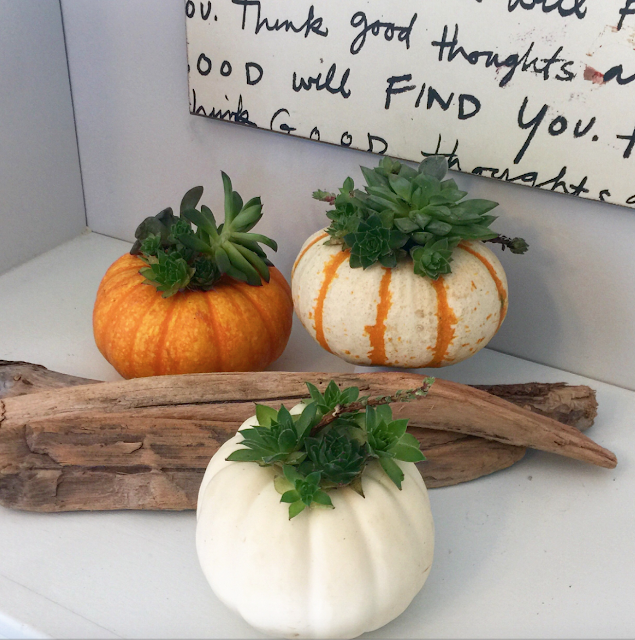 Today I thought we would share a few DIY Pumpkin ideas since the 438th Inspire Me Tuesday was filled with them. 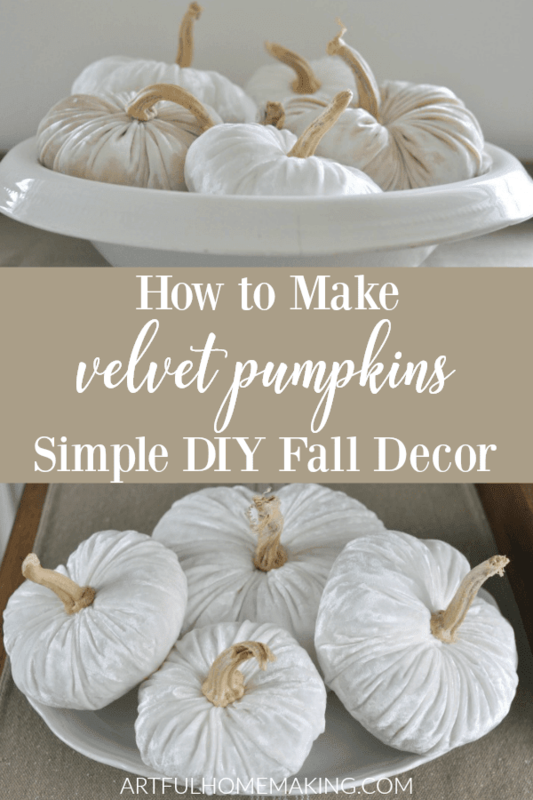 Artful Homemaking shared her super easy tutotial for how to make Velvet Pumpkins. 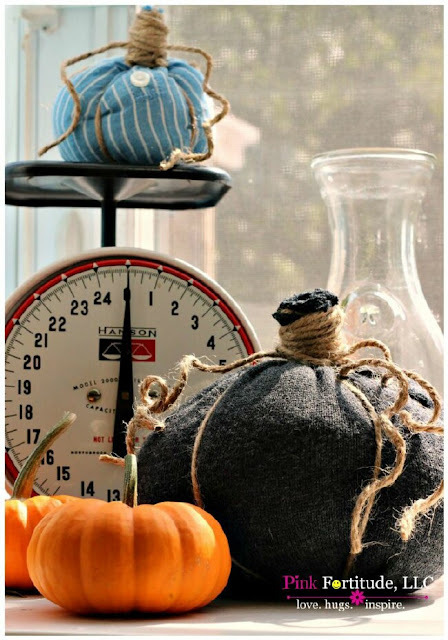 Pink Fortitude has another great tutorial on how to make some fabulous pumpkins using your old shirts and sweaters. If you want to give your pumpkin display a little extra punch. How about adding some lights. Clean and Scentisble shows us how. There are still more pumpkin ideas. A Life Unfolding used some pumpkins as planters for her succulents. I love this idea. Check out her how-to. Thanks for hosting Marty! I still have to catch up on all the fabulous tours. Enjoy your week! thanks for having us over, Marty. LOVE those gorgeous white pumpkins! Thank you, Marty. I hope you have a fabulous week. Pretty features this week ! Thank you so much for hosting yet again for us Marty. Hello, I've not been around in awhile. I have rather distracted with fighting cancer for awhile. All is well now. I've been declared cancer free. I hope to start hanging out with you more often. Thank you for hostessing! 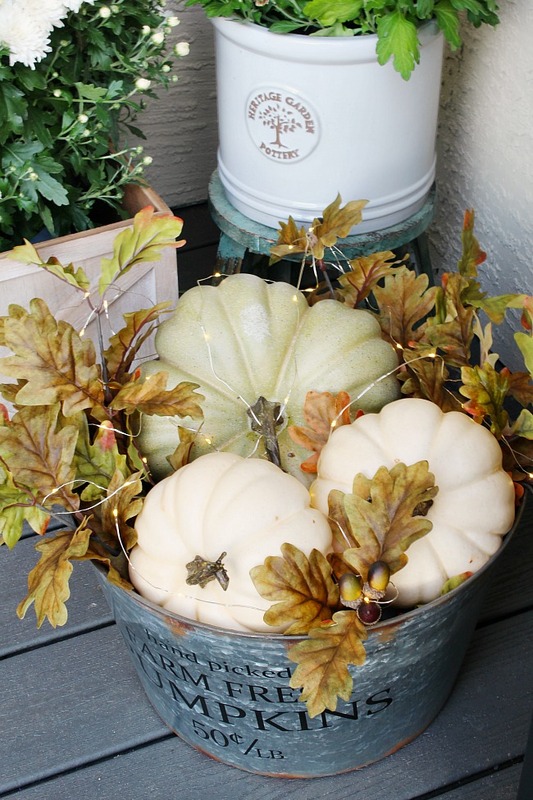 Thank you for hosting, Marty, and for featuring my velvet pumpkins tutorial. Have a lovely day! Great pumpkin inspiration Marty...thanks for hosting and have a great week!